1. 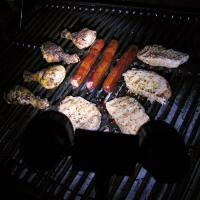 The run time of the LED Concepts BBQ Grill Light can be up to 5 hours. 2. Made of an new advanced heat-resistant ABS plastic which can withstand light rain and heat up to 70°C. 3. Clamp design, easy to fix up, clamp can be applied to the round or square surfaces range 0~50mm, such as table, bed and BBQ. 4. 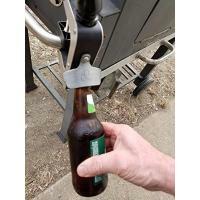 Bottle opener with magnet to catch bottle caps. 5. Adjust the bar to any angle (360° Rotation angle) within a 700mm radius sphere. 6. 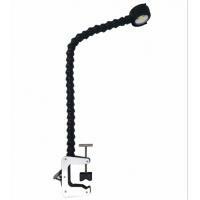 Unique flex arm adjusts and holds in any position. 7. With a hidden hanging hook on the back allows you to hang anywhere. 8. 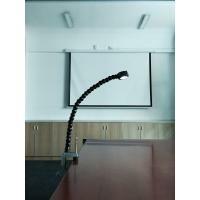 With a powerful magnet on the back which can be absorbed on any metal surface. 10. 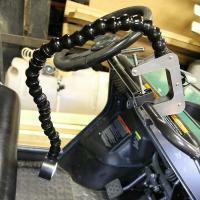 The handle is designed with no slip grip technology to provide stronger grip for safe movement of hot items. 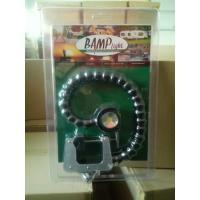 The Sunway SW-5815 LED Concepts BBQ Grill Light fits most grills, whether your grill used by gas or charcoal. 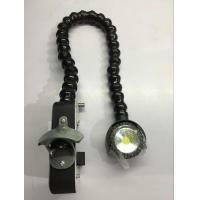 Also great for other indoor and outdoor, such as maintains, power cuts, camping, reading, emergencies, it is really a fantastic tool light for normal use. 3. OEM: 7-10 days after sample confirmation. 1. 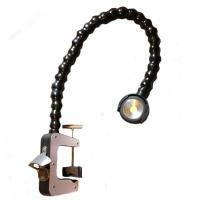 The LED Concepts BBQ Grill Light can be cleaned by gently wiping with a damp towel. 2. Recycle old batteries whenever possible. If recycling is unavailable in your area, dispose of old batteries in accordance with local regulations. 3. Do not incinerate, compact, or disassemble batteries. 4. 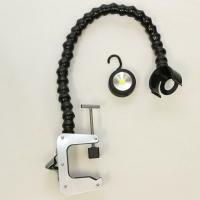 Remove batteries if LED Concepts BBQ Grill Light is to be unused for two months or more, since batteries could leak and damage the LED Concepts BBQ Grill Light. 5. 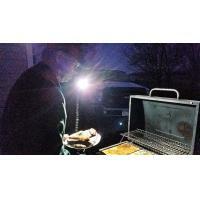 Store LED Concepts BBQ Grill Light indoors when not in use. 6. Adjust clamp to proper position when not use. 7. Keep a safety distance between the lights and fire! Don’t exceed the max temperature 70°C. Sunway Products Limited, established in 2007, is a China National High-tech Enterprise specializing in R&D, manufacturing, and application of LED flashlights, LED camping lights, BBQ lights, T8 LED tube lights, LED bike lights, hat clip lights, LED panel lights, etc. The company covers an area of over 5,000m² and has over 300 staff, among which 30 are experienced engineers in light distribution, fixture design, and thermal management. Sunway defines the current state of LED lighting technology with continuous innovations in light output, efficacy and reliability for our complete line of high-specification lighting fixtures specifically designed for various applications. With continuous pursuit of technical perfection, Sunway purchased dozens of sophisticated production and testing equipment and implemented strict standards of components inspection, manufacturing, and testing in accordance with ISO9001:2008 quality management system and ISO14001：2004 environmental management system. As an active member of China Illuminating Engineering Society and China Solid State Lighting Alliance, Sunway has always been sticking to sustainable technical innovations. Now Sunway boasts 25 utility patents and passed CE, RoHS, UL, FCC certificates. Adhering to the principle “Quality as the foundation, innovation as the driven force”, Sunway enjoys a high reputation among customers from US, UK, Netherlands, Finland, Sweden, Germany, France, etc. A customer satisfaction concentrated international sales & service network is being fast built. With stylish, industry-leading designs, Sunway products have soared to record adoption rates in China as expansion continues steadily into several other markets around the globe. Along with Sunway development and strength, we sincerely welcome oversea and domestic LED lighting companies, trading companies, distributors, engineering companies to visit our factory. We’d like to work with you basing on high quality, reasonable price, fastest delivery and best service. Sunway is always ready to offer affordable, high efficiency, energy savings, eco-friendly and long life advanced LED Lighting Solutions for every customer. Our goal is to become your best partner in China! We also can provide a full range of OEM, ODM services to our customers including Caravan accessories, plastic injection tooling and molding, SMT, power supplier design, lighting modules, etc. We can develop a versatile business with you!